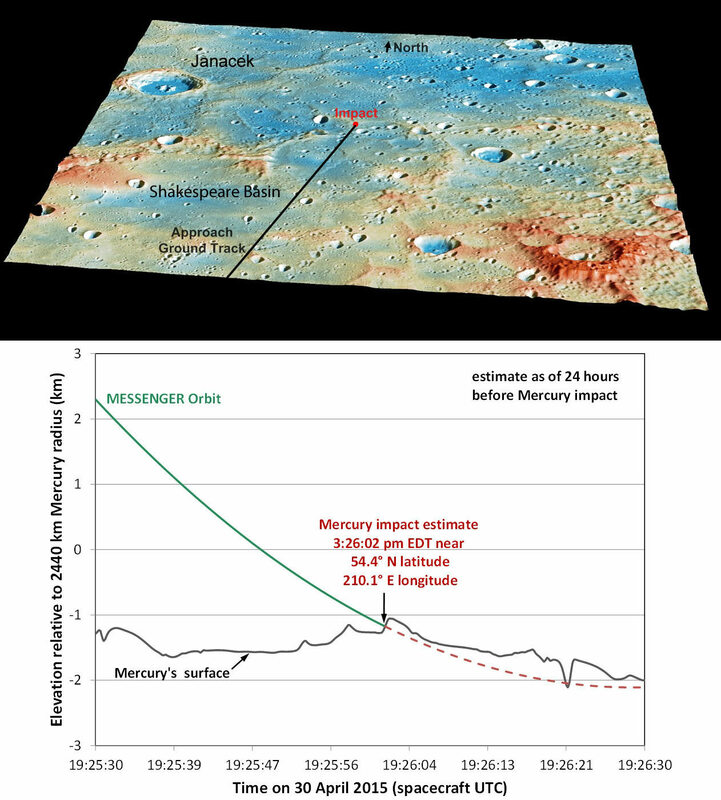 Yesterday (April 30th) the Messenger Probe completed its mission with a flourish by crash landing on the surface of Mercury. During its 4 year mission, it orbited the small planet 4103 times, and sent back thousands of images helping us map our tiny neighbor. 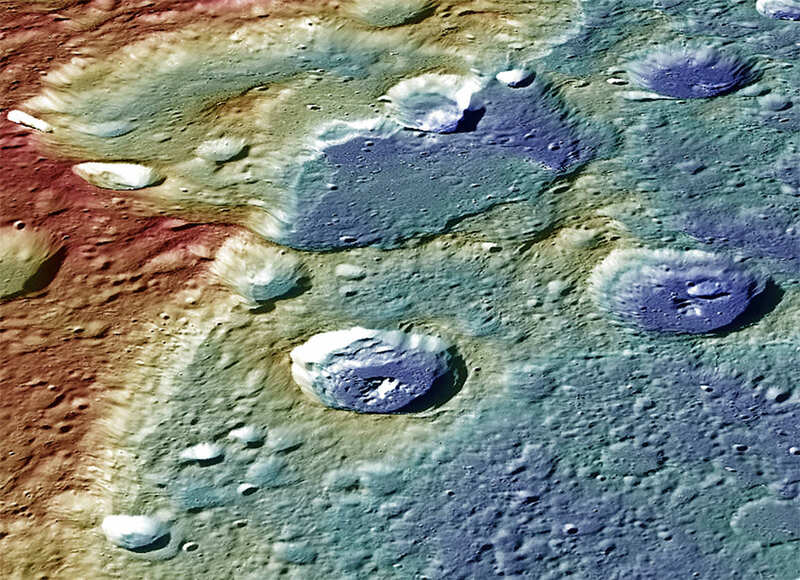 Messenger was forecasted to make a 52 foot wide crater, impacting the surface at over 8700 mph.